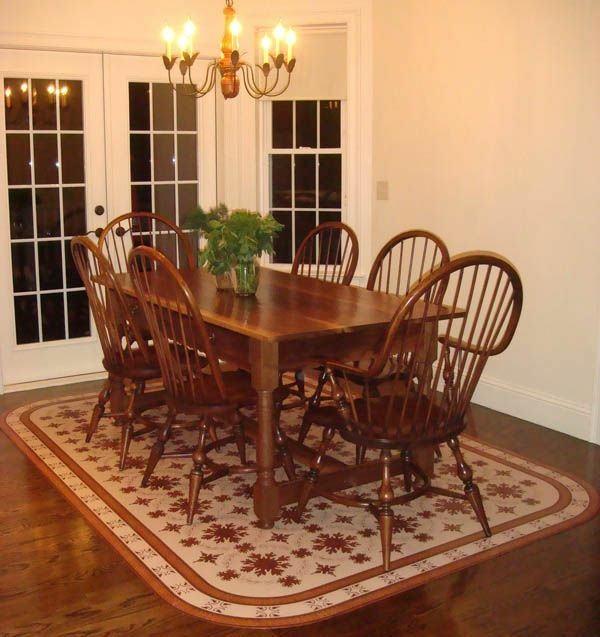 This floorcloth was commissioned by clients in Bedford, Massachusetts. 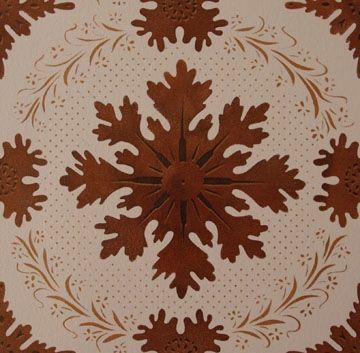 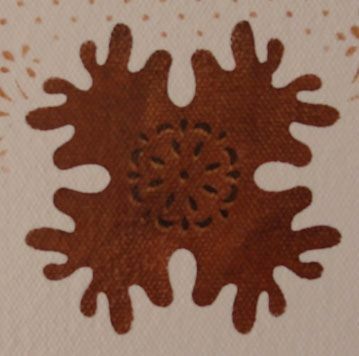 The center design is based on floor patterns found in the Humphries House in Dorchester, Massachusetts, circa 1800. 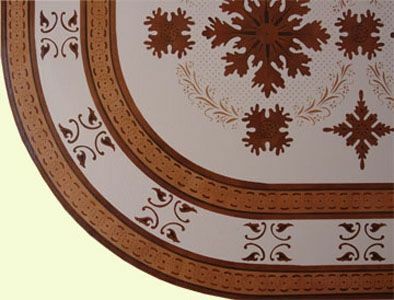 The border motif was created by Gracewood Design. 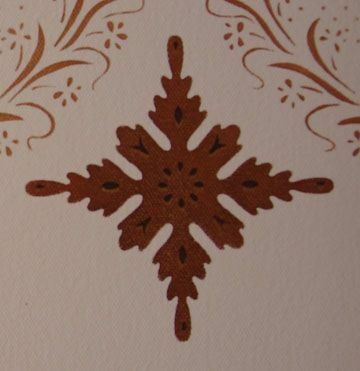 The background color is Deerfield. 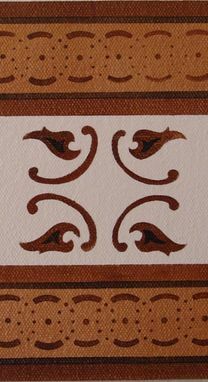 The motif and border colors a variety of custom browns and custom bronze. The floorcloth was shaped into an oval to fit the curvature of the room at the french doors. 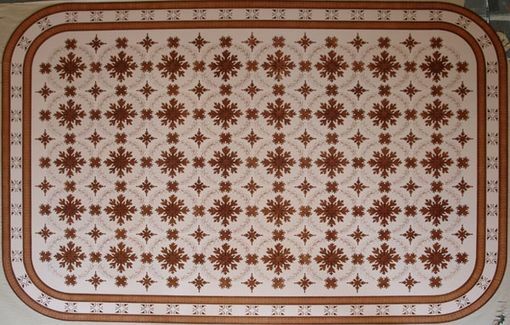 Dimensions: This floorcloth measures 6' 6" x 9' 4" and can be made in other sizes.